WordPress Security; everyone knows about it, everyone seems to know what needs to be done yet thousands of WordPress blogs and websites are hacked every year. Many WordPress administrators still face one problem when it comes to WordPress security; there is an overload of information and some of it is incorrect and misleading, therefore it is difficult to set a starting point and understand all the pros and cons of each option available. In this WordPress security article we will explain all the pros and cons of automated and manual WordPress security services you can choose to beef up the security of your WordPress sites. Is WordPress Security so easy? Is it possible for a person who does not have any experience in web security to properly secure WordPress blogs and websites? Typically such blog posts do offer some very good tips to help you get started with WordPress security. Though some of the tips can be misleading and create a false sense of security. For example while one blog post recommends a particular plugin, in another blog post another plugin is recommended. So in this case inexperienced users are being misled or the community is confusing them. It also depends on the size and complexity of the WordPress site. If we look at a small personal blog, then yes, by following some of these WordPress security blog posts you might get started and secure your WordPress site. But the more complex the WordPress installation is, for example business multisite installations with several plugins and customizations, then the tips you find in these WordPress security blog posts are not enough, hence you need to refer to a professional service. A very common question we are asked is why do we promote automated online WordPress security services when we provide manual WordPress security Services ourselves? The answer is that in reality there is a need for both manual and automated online security services. They should be used together to ensure the maximum level of WordPress security; both have different pros and cons and in an ideal world, if the budget permits, WordPress administrators should take advantage of both. 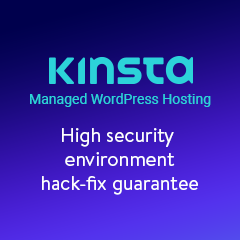 For example automated online WordPress security services will not secure your WordPress installations, therefore by subscribing to such a service your WordPress site does not become more secure; it is still vulnerability to malicious hacker attacks. But online automated WordPress security services such as Sucuri do help you monitor your WordPress sites and alert you if they are infected with malware, which is the most common side effect of a hack attack. If your WordPress site is hacked and used for a different purpose rather than to distribute malware, for example to distribute illegal non infected software and content, an automated online WordPress security scanner might not detect such a problem. In this case it is recommended to install a WordPress security and auditing plugin such as WP Security Audit Log, that can help you keep track of what is happening under the hood of your WordPress, keep track of all the users’ activity and identify any suspicious behaviour before it becomes a security issue. Another important aspect of WordPress security is ensuring that all your users are using strong passwords. 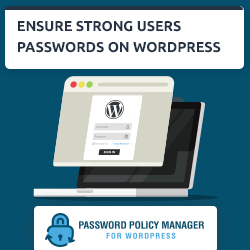 The only way to ensure your users use strong passwords is by applying strong WordPress password policies. 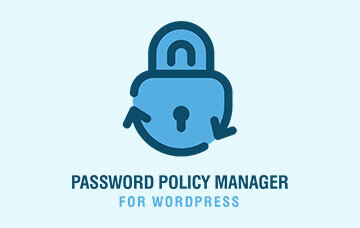 You can do so by using a WordPress password plugin such as WP Password Policy Manager. 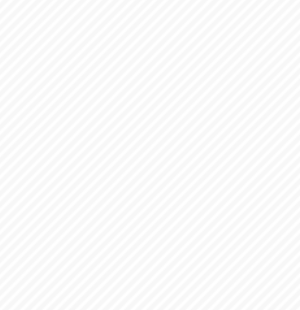 Some online WordPress security services also provide free WordPress hack clean-ups. In this case the clean-up does not include an analysis to see what actually happened, from where the hacker managed to get access to your WordPress etc. Therefore once the infection is cleaned up, the security hole is not closed and the chances of your WordPress getting hacked again are very high. Therefore if your WordPress was hacked and you want to ensure that it is not hacked again, you’d be better off if you hire a professional to do a manual WordPress hack cleanup. As we have just seen an online automated WordPress security service will monitor your WordPress sites and blogs and alerts you if they are infected with malware, but they do not help you secure your WordPress installations to keep the bad guys out, they won’t close down any security holes the malicious hackers used to hack into your WordPress sites. And these are the gaps that manual WordPress security services fill. Once you are ready to launch your WordPress blog or website, invest some money in its security and close down all possible security holes it might have. You can read about WordPress security from a number of different blogs and websites, and most probably can do some of the tasks yourself, but you can never know about all the different solutions available that help you improve the security of your WordPress blog or website as a group of experienced WordPress security professionals. Also a WordPress security professional can give you a list of “WordPress security best practices” and guide you to ensure that your WordPress remains secure once it is hardened. WordPress security is an ongoing process and not a onetime task. The WordPress security tips many blogs and websites recommend are just the tip of the iceberg. The process of securing WordPress changes depending on many factors, such as the web server configuration, the plugins you have installed, the WordPress theme you are using and also any new functionality you are using and introduced on your WordPress website. As most WordPress administrators know very well, business websites and blogs are not static objects. As businesses evolve, so do their requirements and websites; new functionality is frequently implemented on the website. New functionality means new WordPress plugins, new custom code, new integrations etc. The more functionality we introduce on a website, the more the surface of attack which a hacker can exploit will grow. Hence why WordPress security professionals recommend businesses to do frequent WordPress security audits. But how frequent? It depends on how frequently the WordPress website is changed, but as a rule of thumb, the more changes are applied the more the need to do a WordPress security audit. As we have already seen, many online WordPress security services provide free hack clean-ups. All well and good but they will only remove the infection and will not close down the security hole. In case your WordPress website is hacked, it is much better if you can analyse your logs, see what actually happened, clean the infection and close down any security holes which the malicious hacker exploited to hack into your WordPress site. As we have seen both automated online WordPress security services and manual WordPress security services have their pros and cons, and they cannot be compared because both of them provide a different solution. Therefore which is the best way forward to ensure your WordPress blogs and websites are secure? The above four points can only be achieved by using a combination of both types of WordPress security services, as in automated and manual and also a number of WordPress plugins.